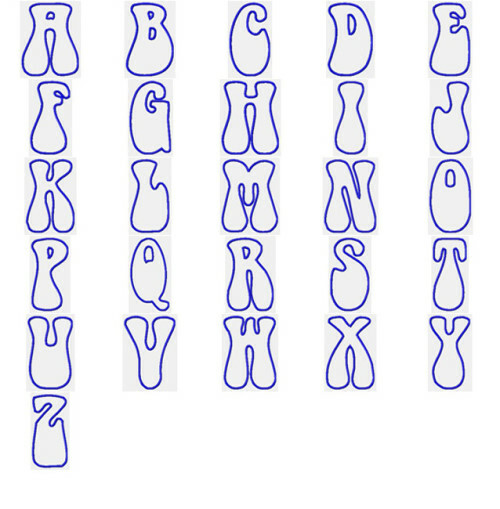 Bell Bottom JUMBO Applique Alphabet-4 sizes up to 7 inches! - $19.99 : Fancy Fonts Embroidery, Home of the ORIGINAL Trendy Dots Font! You have asked and we have listened!!! We are proud to introduce to you a great, fun and trendy applique alphabet for your sewing pleasure. Each letter comes in 4 Jumbo sizes!! Approx 5.5 inches, 6 inches, 6.5 inches, and just over 7 inches tall! This applique alphabet is wonderful for a wide variety of projects ranging anywhere from clothing to totes to towels, room decor, shower curtains, quilts and more! This alphabet sews out quickly and beautifully. 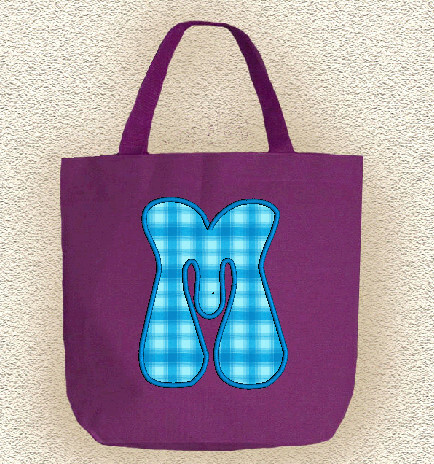 Here is an example of how the 7 inch "M" would look stitched out on a tote bag.